Capturing and converting documents are two of the major phases in the process of preparing documents to be used in digital form. While the entry point for capturing and converting documents into a unified form suitable for digital use is known to a number of different types of documents, the mZajem solution is capable of converting all standard documents into digital data and documents with incredible speed and precision. The mZajem solution is ideal for companies which receive mail predominantly in paper and electronic form, since it enables document capture and conversion into a consistent form, i.e. an e-document. These documents are accessible in the document management system and available to all employees with appropriate clearance. 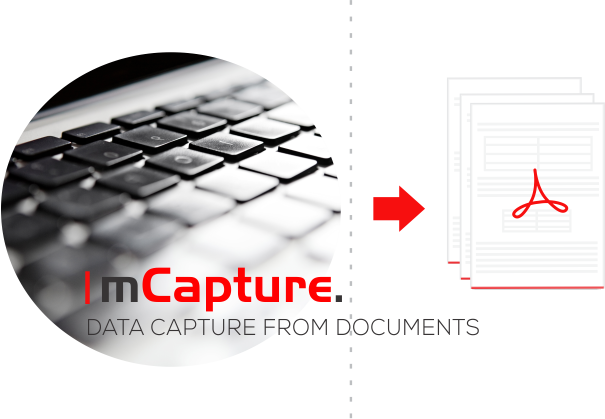 Since mCapture uses advanced tools for optical character recognition (i.e. OCR), it is distinguished by remarkable precision and speed in document capture and conversion of data in digital form. Combined with the mDocs document management system, the capture, classification, signing and sending is done in a matter of a few steps, with minimum costs for the company. Data capture is not limited to written documents arriving by traditional mail; the company can use it to good effect for advanced digitisation of e-mail, fax and hand-written documents. The information contained in standard and non-standard documents is automatically captured, classified, verified and exported directly into the document management system or other operation-critical applications, such as the business-information system (ERP), the customer relationship management tool (CRM) etc., where they are immediately available to the employees. The optical character recognition tool enables reading either the entire content or merely certain data within a particular document. The documents arriving in physical form are scanned. The scanned images and other e-documents are read, classified, verified and exported to a digitally managed process of distributing incoming mail in line with the pre-set parameters of the tool used for capturing. Integration with the financial workflow/information system further improves the entire purchase procedure. Favourited captured data on orders enable the sales department to have complete control over the speed, efficiency and accuracy of sales and purchasing procedures, thus allowing growth of revenues and enhancing customer satisfaction and retention. ROI within 12 months or sooner. The mCapture solution eliminates bottlenecks in public administration, statistical offices, banking and financial institutions, insurance business, healthcare, energy sector, transport and logistics, commerce, manufacture, schools and service industry. Choose data capture and conversion of documents into useful business information available from anywhere and at any time. Data capture has never been simpler. Contact us if you are interested in mCapture!